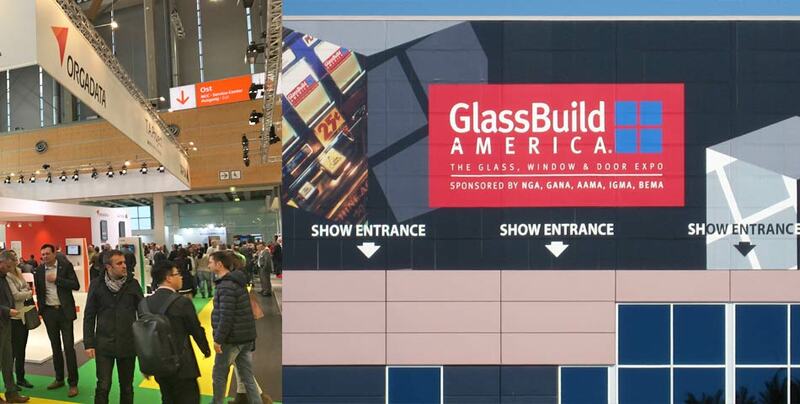 The show management and participants alike drew a positive balance from GlassBuild America, the most important facade exhibition on the American continent, although this year the show was not able to notch up a new visitor record. 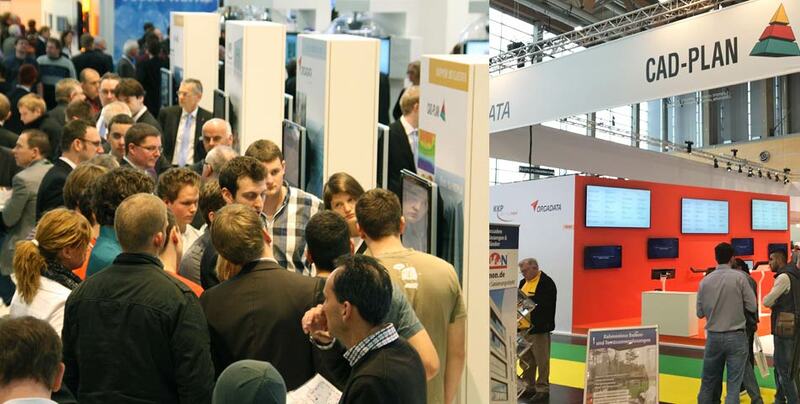 Many of the 1,213 exhibitors reported an increase in the quality of visitors. In the economically difficult times in the USA many customers are also prepared to rethink their strategy and are receptive for something new. 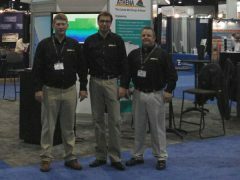 As in previous years CAD-PLAN was again represented with its software products at GlassBuild in the Georgia World Congress Center in Atlanta. 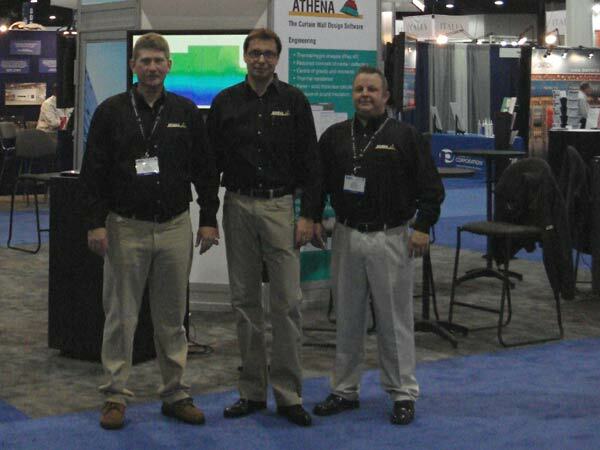 On the stand shared with Orgadata our American sales partner, Bill Cole and his team from GlaziersCenter in Canisteo, NY looked after customers and other visitors to the stand. 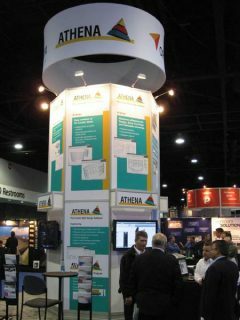 On display were the current version of ATHENA 2010 and the thermal analysis program Flixo 6. CAD-PLAN could not complain of a lack of visitors. In fact Norbert Payer, the Managing Director of the Head Office in Germany, went home with the impression that the American economy was gradually recuperating and that readiness to invest was increasing again. Not only that, interest is growing in energy-saving construction along with the design and planning tools that are useful in this field. Consequently, there was a positive response to ATHENA and Flixo with some sales even being wrapped up at the show. CAD-PLAN and GlaziersCenter are very satisfied with the result of the fair and are looking forward to the future. 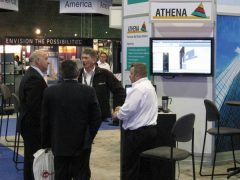 Participation in GlassBuild 2010 in Las Vegas is already a done deal for CAD-PLAN/GlaziersCenter.